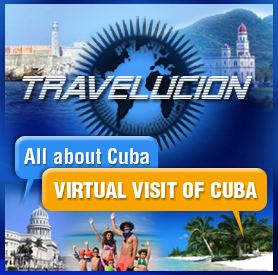 Havana Malecón is just one of over 50 official online guides covering the whole of Cuba. If you´re planning a trip to Havana Cuba and would like discover other regions of our fabulous nation before visiting or, if you´d like to visit a specific city or province in Cuba, then you´ve come to the right place. Havana Malecon is one of Havana´s most popular and romantic places, this historic boardwalk is the center of Havana’s culture. When you travel to Havana you may wish to check out the hotels on Havana Malecón we have available or maybe you´d like to rent a car on the Havana Malecón? We also offer extensive day trips from Havana. Malecon Havana is the life and soul of Cuba’s capital and should not be missed at any cost. Whether you are visiting Havana for business, pleasure or both, you need to take a walk down the historic Havana Malecón and enjoy mingling with local Cubans who could be fishing, taking a swim, talking or simply hanging out on this historical oceanfront boardwalk and Havana’s most romantic boulevard. Come and see Havana Malecon and fall in love with Havana! Below you are welcome to take a virtual tour of the rest of Cuba by visiting the unique website for the destination you wish to discover.